I revisit my second hometown and wonder when it got so damn HIP. Melaka is a town very dear to me. It’s where I’d wake up on Christmas morning to unwrap a banana leaf of nasi lemak before I unwrapped my presents. Where I’d skip down the street after a man on a motorbike who had satay or ice cream to sell, or who was simply another one of my many uncles. The town is home to Portuguese Settlement, our family base where extended relatives would come from all around the world for holidays. We would feast in the front yard and dance in the seaside square as we browned under the Malaysian sun. Over many childhood holidays I came to know Melaka well. It was only until a recent solo trip that I saw another side to the city. Melaka is an evolving city. Recently listed as a UNESCO World Heritage site, tourists now arrive by the busload. They flock to explore a city born of East and West trading, a seafaring town with fascinating Dutch and Portuguese roots. Travellers eat at the Nyonya houses, they shop at Melaka Megamall. It’s usually a one or two day affair, at most. What most visitors don’t know is that Melaka’s richness goes beyond the stopover. For such a small and unassuming town, it always has more to give. Here’s what surprised me most during my last visit. If you’re planning a trip to Melaka you would’ve heard of Jonker Walk. Bustling with 17th century homes and fringing the Melaka river, the atmospheric street comes alive every Friday for the night market. It’s a walk best left for dusk, when the equatorial heat is at its least savage and when the lights of the bazaar begin to glow. The aromas of the satay carts and the freshly split durian are memories I’ll never lose. Head to Jonker on an early morning and you’ll be able to have your durian and eat it too. This time at one of its secret alternative cafes. During my last walkabout of Melaka town, I found Kaya Kaya. I wandered down a lane next to Jonker which was apparently once swarming with Chinese theatres, opium dens and brothels – coincidentally the only three places you’ll find me on a Friday night – and I found a high-ceilinged haven which I couldn’t believe was in my family town. The café boasted a rustic, industrial design softened with touches of greenery. Its open air courtyard and art-deco spiral staircase made me feel as though I wasn’t even in Malaysia. Kaya Kaya is named after the local egg jam, and not cannabis, as many were quick to tell me on social media (“Serena, are you in an Amsterdam coffeeshop?”). The kaya jam is made with Gula Melaka, Malaysia’s famous coconut tree sugar, and naturally it’s the star of the menu. You can enjoy it in a pancake stack with banana, chocolate and peanut butter. The eatery also offers accommodation in the loft above the café, and it’s ideal for travellers wanting to surround themselves with Melaka at it’s liveliest and most historical. The loft can be found on Airbnb. The next artsy hideout was a little harder to unearth. I found the Daily Fix behind an antique shop back on Jonker. This café stood out because of its ode to nostalgia, colourful china plates, lanterns and vintage bicycles peppered the interior. Their menu was a modern fusion of the classics, with pandan pancakes and Gula Melaka being the highlight. They’ve also got pancakes of the durian variety, the fruit that you probably haven’t tasted but have almost certainly smelled. Another joint where you can get your durian fix is Bikini Toppings. They serve the beloved spiky fruit in the form of coffee. This quiet joint will also satisfy your tropical cravings. The Bikini Shake hits the spot with its blend of ice cream, coconut water and coconut flesh. Like an island version of FroYo, there are lots of toppings you can add. If Melaka can’t fill your heart with its hidden cafes and sumptuous desserts, then let it appeal to you with one more thing: dogs. About 20 minutes from Jonker is a dog café, and not just any dog café, but a Huskitory. The Huskitory sells kitschy dog toys and accessories, serves sweet and savoury treats, and oh yeah, has nine huskies for you to hang out with. If you happen to have brought your pooch with you to Melaka they are also welcome in the café. I know, my heart swelled too. Melaka glows red due to its Dutch colonial buildings. What surprised me when I returned to Melaka recently was that there was even more colour! This time, there was modern street art. On an evening walk by the river I came across the Kiehl’s heritage mural and Orangutan house, vibrant proof of an artistic movement stirring in the city. I later found out there was even more street art to discover. These modern flourishes certainly had the potential to clash with the town’s rich history, but take one look at the Melaka river – and one whiff – and you’ll agree it needs a little somethin’ somethin’. Exploring Melaka as an adult made me recognise the potential of this familiar, yet burgeoning town. I came to see it as a place quiet in its modernisation. The alternative cafés aren’t on show, they’re enigmatically tucked away. The town’s artists are putting themselves out there, but only in a burst of gorgeous colour on a wall here or there. This article SPEAKS to me! Haha. This is exactly the kind of thing I look for in planning my trip! Malaysia has been on MY to-do list for a while so I’m saving this article for when I do! Great read! I’ve never been to Malaysia so it’s great to read some things to do and certainly some out of the box ideas. Thanks for your post! Lovely!! I have near even heard of this town but it looks super cool and a lot less touristy than Kuala Lumpor. Thanks for sharing and the photos are stunning. Hey those are great options for hipsters (and not only) to spend their time in Kuala Lumpur! Thank you for putting this together! I’ve transited through KL so many times and I think that I have probably spent more time in that airport than anywhere else in the world. Oddly enough I have never been to Malaysia (as in outside the airport!). It has been on my list but I need to get around to it. Melaka sounds amazing! I love places that are just full of hidden things to visit. Not gonna lie, I’d never heard of it until now and I’m gutted I didn’t know about it when I was in Malaysia! Malaysia is on my short list before I leave Asia next year! This is such a great guide! Malaysia seems to be such an incredible country. My brother and his girlfriend went last year and loved it there. 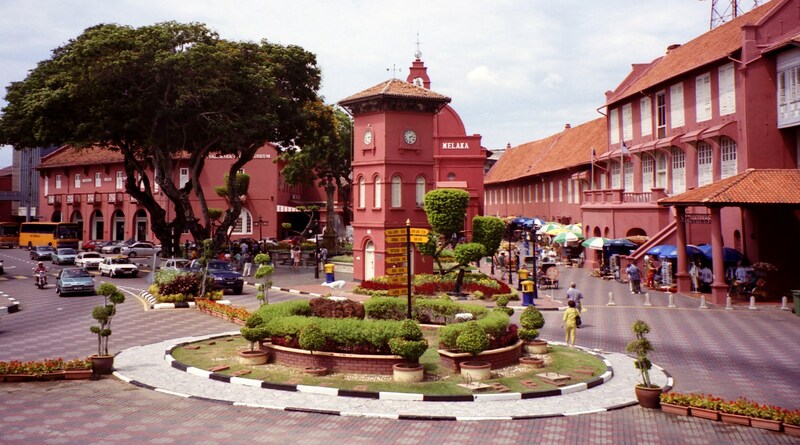 Melaka sounds definitely amazing, would love to visit there for sure. Interesting read! Very informative, and heading to Malaysia soon and Melaka looks like an absolute must! It would be great to visit such a place! Thank you so much! Hello! I know this is kinda off topic however I’d figured I’d ask. Would you be interested in exchanging links or maybe guest writing a blog post or vice-versa? My site goes over a lot of the same topics as yours and I think we could greatly benefit from each other. If you happen to be interested feel free to send me an e-mail. I look forward to hearing from you! Wonderful blog by the way! Well! Malaysia is on my short list before I leave Asia next year! This is such a great guide! Well! I’ve transited through KL so many times and I think that I have probably spent more time in that airport than anywhere else in the world. Oddly enough I have never been to Malaysia (as in outside the airport!). It has been on my list but I need to get around to it. Of course, what a fantastic site and informative posts, I will bookmark your blog.Best Regards! © 2017 - Serena Coady. All Rights Reserved.